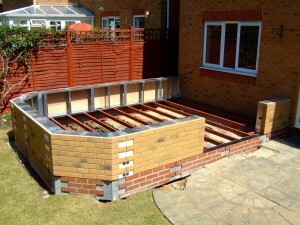 The market leading steel conservatory base system that removes all the hassle of a traditional concrete base. 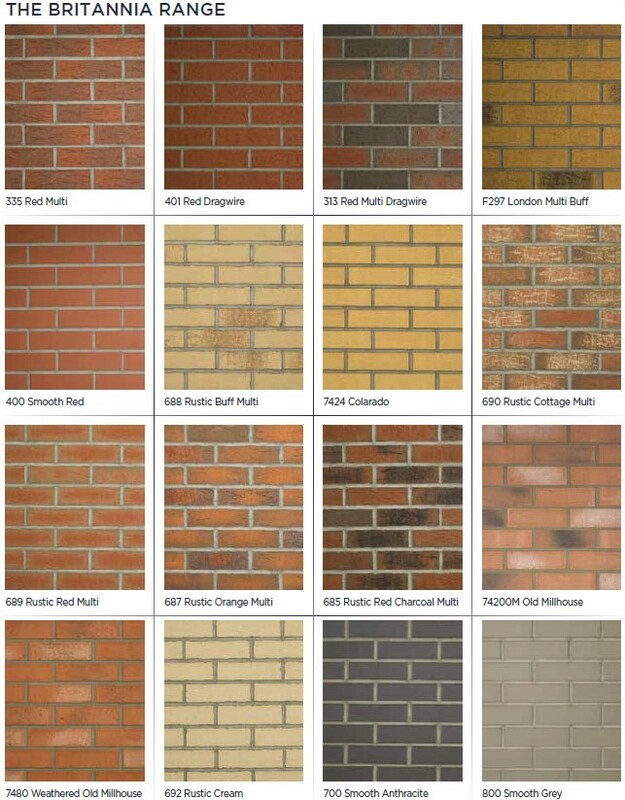 The Durabase, insulated steel conservatory base system, dwarf walls and brick skirt is the proven alternative to the traditional concrete and brick structure. It only takes a fraction of the time to complete and is relatively mess free. 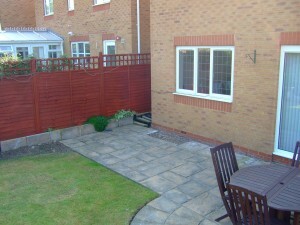 The system is comprised of a modular wall and insulated steel base on adjustable legs. 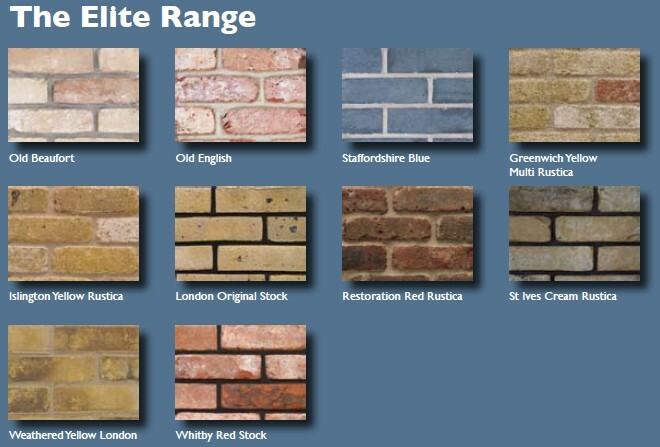 Each Durabase is bespoke as it is made to you exact dimensions and brick finish. 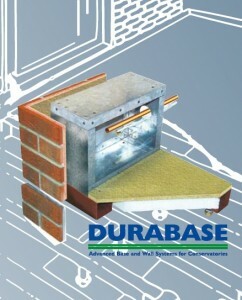 Using the Durabase system overcomes many of the problems associated with building a conservatory base. The system arrives flat packed and can be carried through your home with ease. 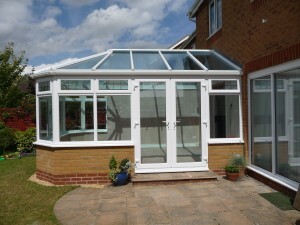 The steel structure provides a solid, permanent base for your conservatory. On average, the Durabase takes approximately two days to install as opposed to a week or more for the traditional method, not to mention the upheaval and skips on the drive. Obstacles like manhole covers can easily be overcome with a Durabase system as opposed to moving the cover and inspection chamber which can be a expensive exercise. Prices inclu. 20% VAT & delivery to England and Wales. 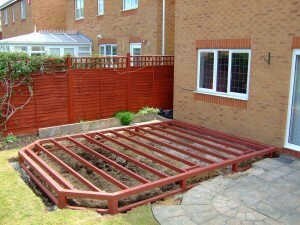 The steel base is insulated and has particle board flooring. 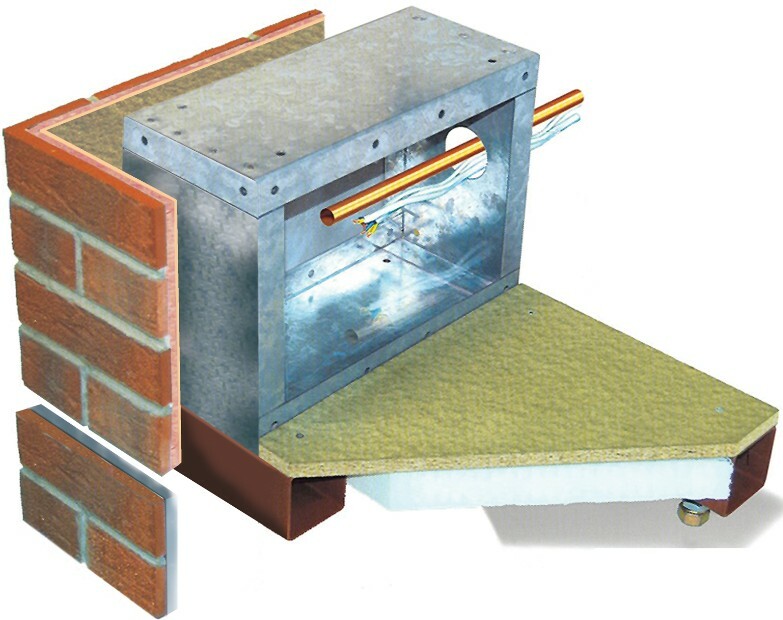 The below system was developed to achieve the increased insulation required by building regulations in Scotland. 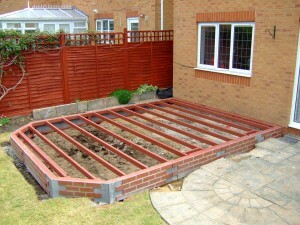 Durabase is the perfect solution for self build conservatory project. 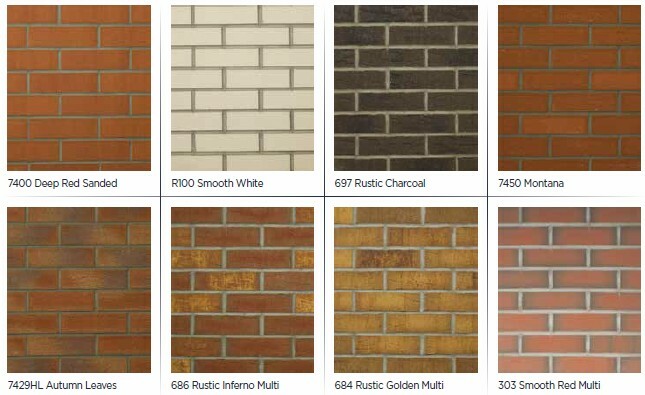 There are very few of us unqualified brick layers that can build a wall plumb, level and with even mortar joints. 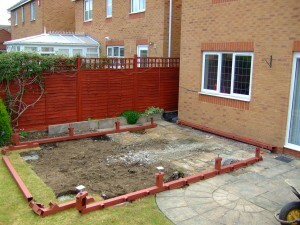 A traditional concrete and brick conservatory base requires a lot of manual labor and produces a lot of waste material. 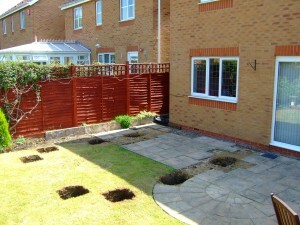 For example, a 3 x 3 conservatory foundation excavation will generate about 6.5 cubic meters of spoil that has to be removed from site, as opposed to about 2 meters cubed when using the Durabase system. 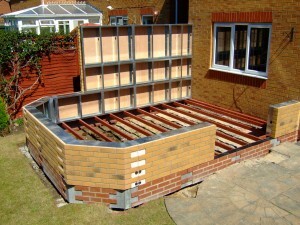 The Durabase system was developed by Wye Valley Engineering, based in Hertfordshire and is the leading manufacturer of the diy conservatory base in the UK. 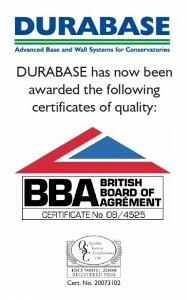 Durabase is the only diy base system that has BBA certification. 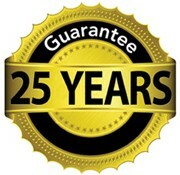 This means that the British Board of Agrement have tested the system and certified that it was fit for purpose. 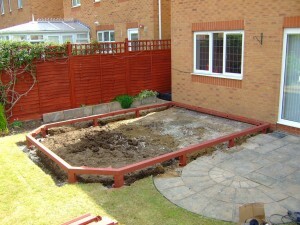 The Durabase system is extremely versatile as each base is manufactured to exact dimensions required. 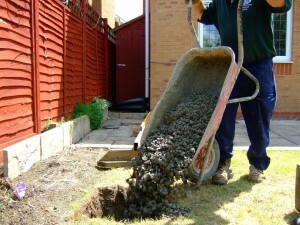 It also easily overcomes issues such as manhole covers and piping or vents against the house wall. 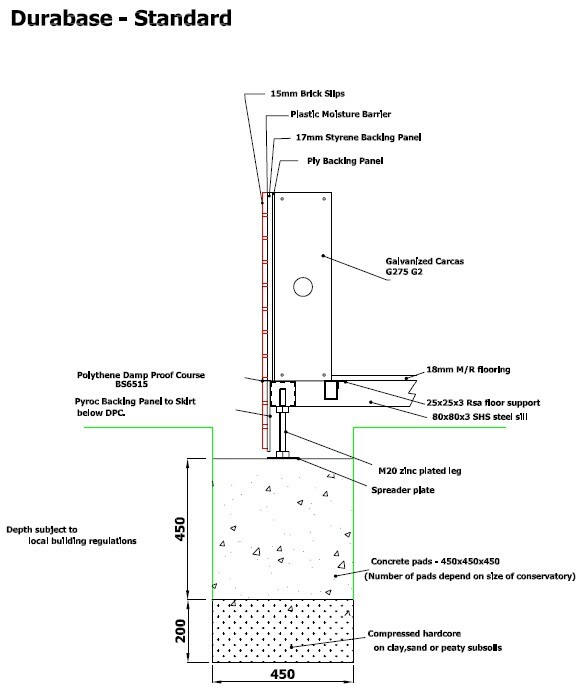 The system is supplied with adjustable legs so the concrete pads don’t have to be exactly level and if you are building on a slope the legs will be supplied to the correct height and brick skirt below DPC will be supplied deeper as required. 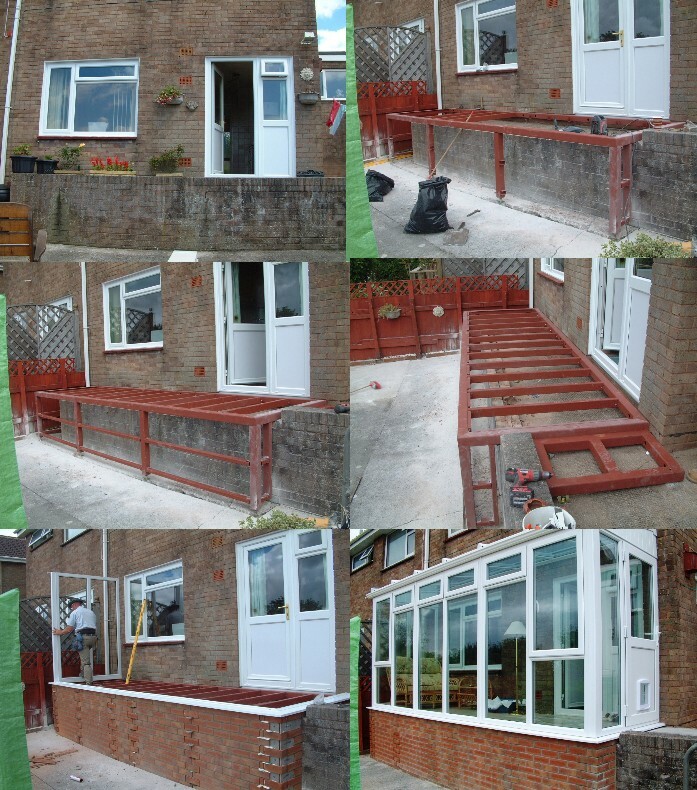 The Durabase system can be supplied for a full height glass conservatory, with a modular dwarf wall, or a full height wall as each system that is built is bespoke. 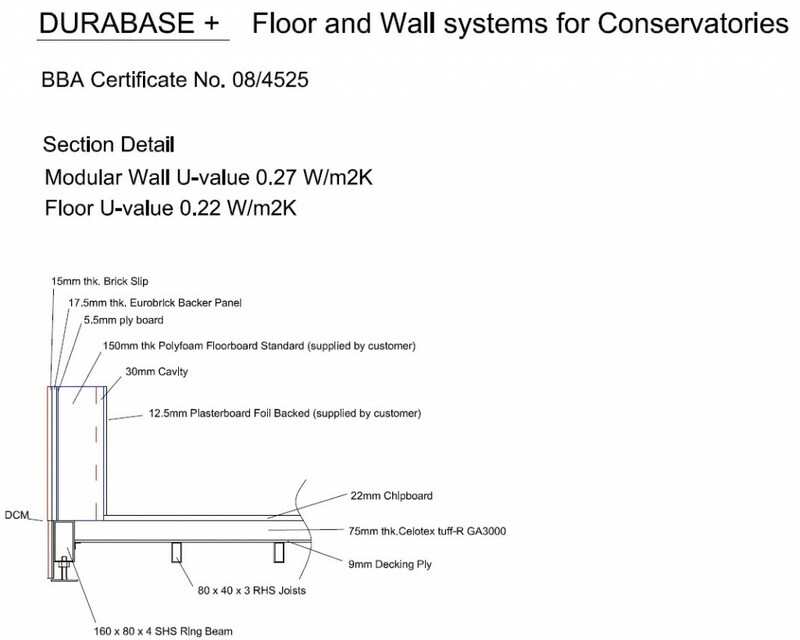 Another advantage the Durabase system offers is exceptional insulation values. The steel base and flooring insulation will achieve a U-Value of 0.22 combined with the modular walls that achieve a U-Value of 0.27, when finished internally with foil backed plaster board, make this a more energy efficient base than the traditional build.